Silence Spoken is a selection of poems and short prose written over many years and places ��� Mexico, Pakistan, Venezuela, California, China, Kenya, Australia and airports in between. 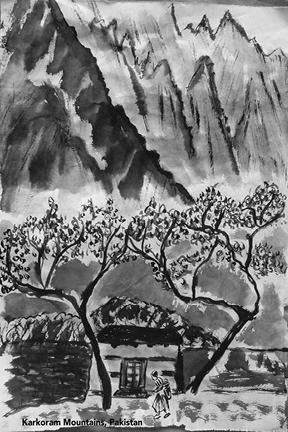 The drawings are sketches of landscapes, where I could sit outside, undisturbed, and look and draw, usually in a small sketch book, using Chinese brushes and black ink. Looking at the drawings, I can remember when and where I did them. Some of the poems have previously been published in a blog dedicated to my mother, which I started when she died in 2011, www.bettehutchisonsilver.wordpress.com. Writing and drawing have been and will continue to be integrated into my nomadic life.